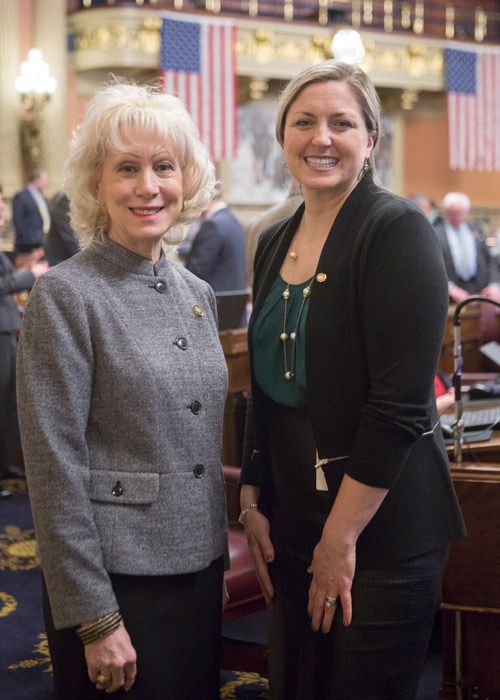 State Rep. Karen Boback (R-Dallas), majority chairman of the House Children and Youth Committee, has named Rep. Tarah Toohil (R-Hazleton) to the position of committee vice chairman for the 2019-20 session. HARRISBURG – Rep. Tarah Toohil (R-Luzerne) has been appointed by House Majority Leader Bryan Cutler (R-Lancaster) to serve on the newly created House Government Oversight Committee for the 2019-20 Legislative Session. The nine-member committee was created as part of the recently adopted House rules and has the power to issue subpoenas in its investigations into matters referred by the speaker, majority leader or minority leader. The majority party is tasked with appointing five members to the committee and the minority party appoints the remaining four. Toohil also serves as vice-chairman of the Children and Youth Committee, and as a member of the Human Services, Judiciary, Professional Licensure and Rules committees.